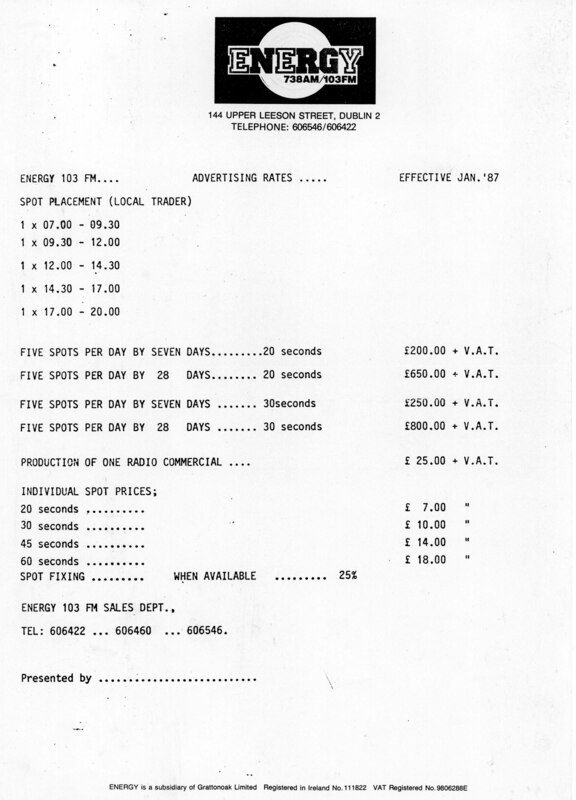 ENERGY 103 were easily heard in the UK, via the 10kW MW transmitter on 738kHz. 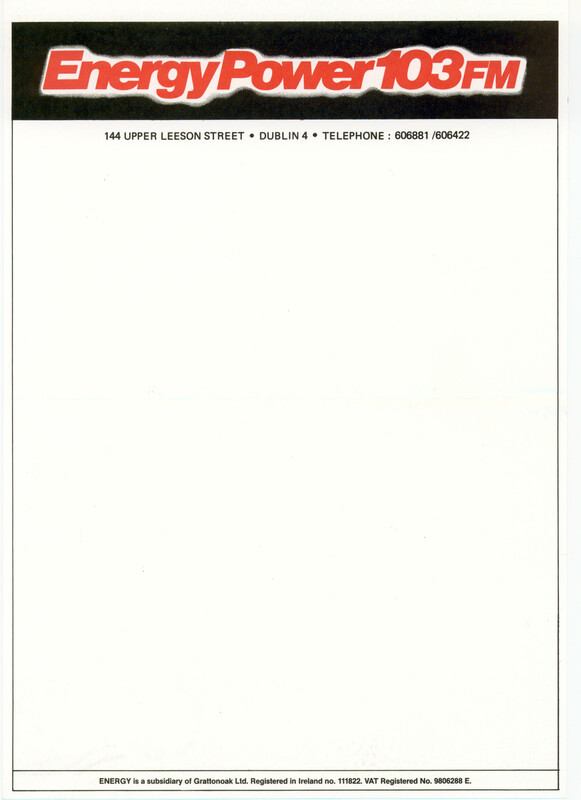 The station was noted as gone on Sunday 13th March 1988. Q102 had taken over the frequencies Energy were using. 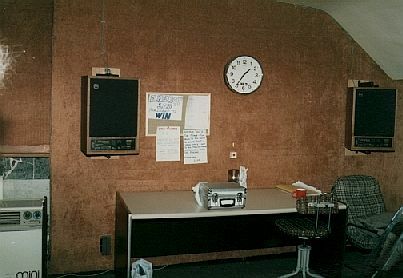 The photographs below were all taken during a visit to the station in February 1987. The above was an advertisment taken from 'The Phoenix' issue of 9th October 1987. 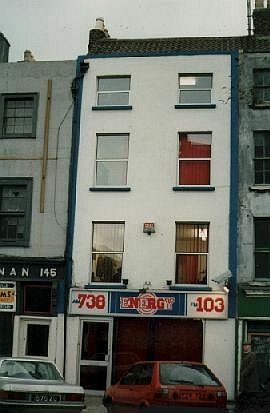 The Energy 103 studio location at 144 Upper Leeson Street. 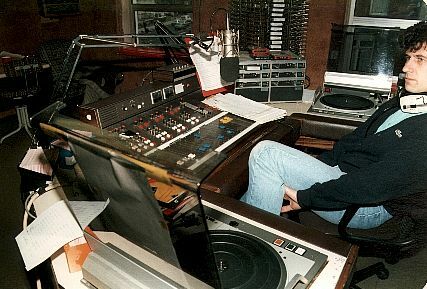 The Energy 103 studio on the top floor of the building, with Tony McKenzie on the air. In the corner of the studio was the above rack whcih contained two microwave link transmitters and an FM Orban Optimod unit. 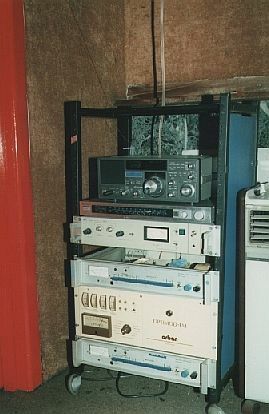 The communications set on top was tuned to 738kHz. 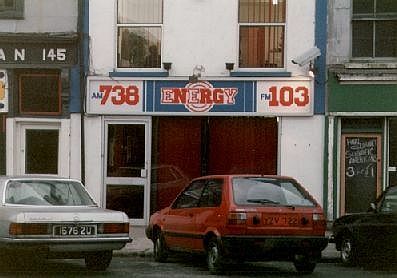 Below - Sybil Fennel shows off the winning design for the new Energy 103 logo in February 1987. It is unsure whether this logo ever appeared on any promotional material. 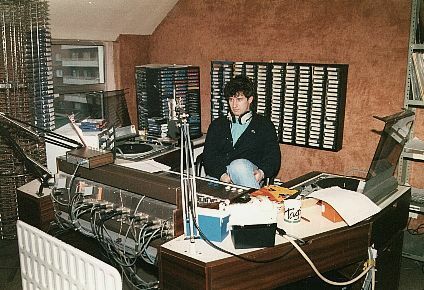 The side of the studio opposite the mixing desk.